This adorable pom pom fleece hat sewing pattern is perfect for winter! Whip up a bunch before the weather turns frigid. These would make great gifts as well! Keep them on hand for birthdays or Christmas gifts. 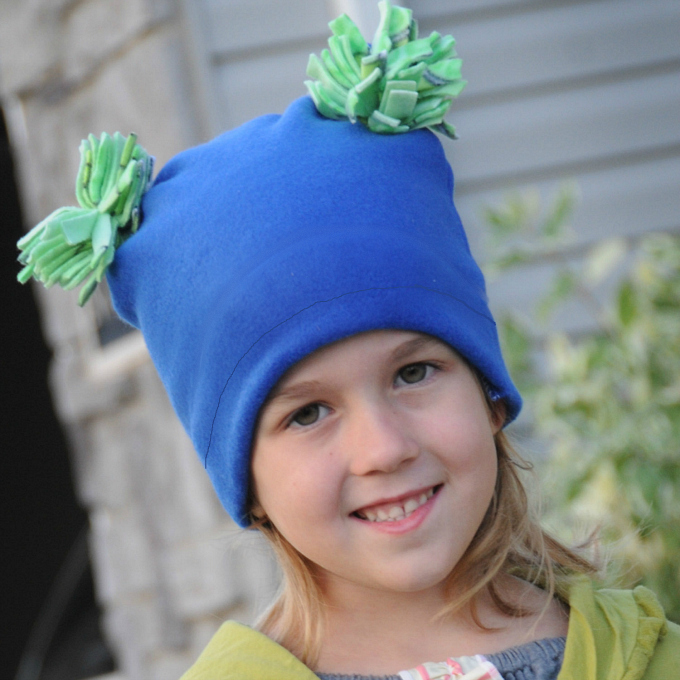 Adorable pom pom fleece hat for girls up to size 12. This is such an easy and fun hat that she’ll love to wear starting fall through winter. OMG, this is the amazing blog here my first visit here and i must be like it so here are the many function for access bluetooth audio devices and wireless displays in windows this is the digital platform for working. Thanks for sharing. Here you have the latest applications for your device which is very useful.